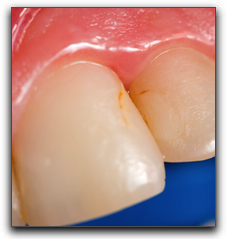 Advanced Cosmetic & Laser Dentistry patients use the word “cavity” often when discussing oral health practices. Along with teeth whitening and dental implants, cavities are a hot topic. At Advanced Cosmetic & Laser Dentistry we think it’s great that people in the Seattle area are so conscious of their teeth, and we feel that having a better understanding of exactly what a cavity is will help them take better care of their pearly whites. Cavities may get so bad that you will see pits or holes in your teeth, but symptoms may be more subtle, such as sensitivity, pain when biting, or a toothache. If you experience any of these symptoms, you should call your Bellevue, Kirkland, or Redmond dentist today for an appointment. If you are in the market for quality dental care in the Seattle area, give Advanced Cosmetic & Laser Dentistry a call. We have been treating dental patients in and around Seattle since 1997. We are happy to help with dental implants, Invisalign, cosmetic dentistry, teeth whitening, or sedation dentistry. Use the form below to ask a question about Brush Up On Your Cavity Basics and one of our expert team members will get back to you shortly.